The SCRA can be used a lot more than just leaving because of a PCS. As an adamant military supporter, spouse, and also a small business owner limiting these SCRA surprises has been very important. Make sure you are checking orders to make sure that the length of time the tenant is signing matches there orders. I know longer leases are amazing and provide a sense of comfort to the landlord. Unfortunately the SCRA allows the service member to break the lease for a deployment more than 90 days (even if it is known upon signing the lease) and PCS orders. Therefore a longer lease only locks you, the landlord, into no rent increases. The states are allowed to have stickier laws than the federal. As long as they don’t contradict there is no issue with this. Many state laws are even more in the service members favor than the federal SCRA. For example Florida allows military members to break leases to move on base. I personally like one year leases. They allow me to raise rent and have options. As discussed, longer length doesn’t do you any good. That being said, if you do want to offer a discount think about requiring the “discount” to be repaid if the lease is broken before the end of the lease term. I know the apartment complex I worked for years ago did this. (Check your state laws FIRST before you attempt to add this clause). Remember: orders change! 30 days from the first day of the month is all that is required and all that you need. So if someone falls in love with your house in January and signs for June- they could very well tell you in May that it isn’t going to happen because, you guessed it, orders changed. 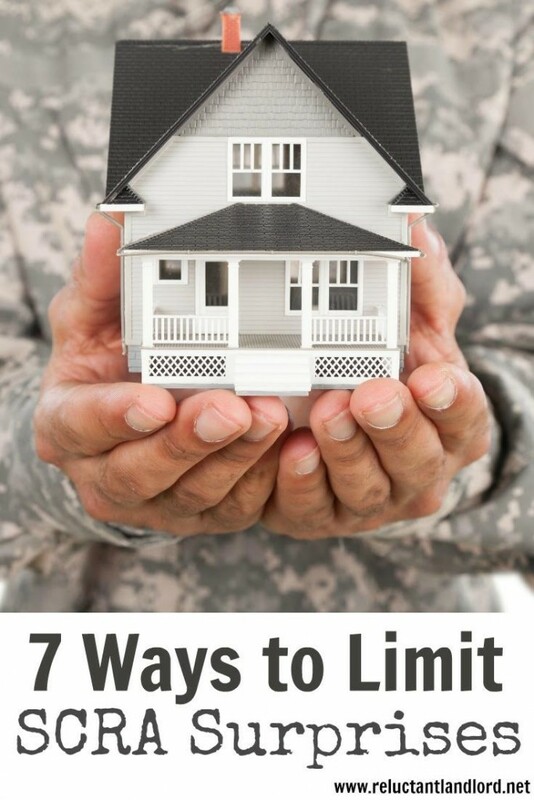 I LOVE renting to the military and taking care of our own. But I do have to remember that this is a business. If you are like me there is a good chance you have a crazy life, with you own work, job, and spouse with their own job requirements to contend with. I know I tend to plan my house turnovers around my life commitments. As someone who HATES surprises and learned most of these either indirectly or directly the hard way– I thought I would share what I have learned. Did I miss any SCRA surprises? 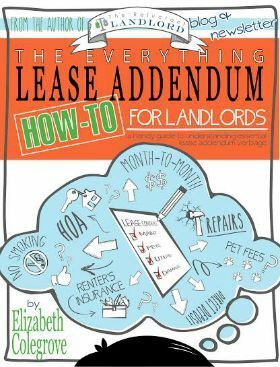 What have you learned from your Landlording experience?